Federal Minister for Industry Karen Andrews at the launch of the awards in Gold Coast. Seven engineering and technology companies have been granted significant financial awards totalling $4.1 million through METS Ignited’s project funding program. Australian Mining reports. Industry growth centre METS Ignited celebrated the awarding of its third round of collaborative in early March. The primary aim of the funding was to offer several mining equipment, technology and services (METS) companies the opportunity to drive collaboration and commercialisation of their various projects. Seven promising recipient companies were awarded a collective $4.1 million in all to this end. 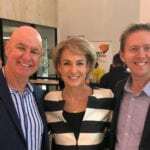 The funding was delivered as part of a four-year, $15.6 million initiative introduced by the Australian Government to support the growth of the METS sector in Australia. This latest round’s recipients ran the gamut from continuous haulage projects for underground mines and tracking sensors for collision avoidance through to internship programs, comminution technology and minerals processing optimisation. 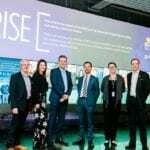 The awards were announced on the Gold Coast, Queensland on March 1 by Karen Andrews, the Federal Minister for Industry, Science and Technology, a politician instrumental in the launch of METS Ignited in 2016. Melbourne-based Australian Marine and Offshore Group (AMOG) received two awards: $150,000 for an automated sensor for detecting rocks too big to process through the use of ordinary crushing and grinding equipment, and $220,000 for a predictive analytics tool related to descaling at copper and nickel mines. In addition, two companies received $1 million each. Premron was awarded for its continuous haulage system, which is designed to eliminate the need for shuttle cars in underground coal mining. Mineral Technologies won for its automation work on the Roy Hill iron ore beneficiation plant and also hosted the launch of the event. The funding award is designed to foster collaboration between METS companies and the mining industry. 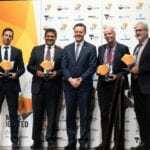 The other recipients included Roobuck for its collision avoidance sensor OVERwatch, ProcessIQ for its grinding optimisation tech, Austmine for its internship program (Austmine METS Pathway) and Magotteaux, for its pulp chemistry monitor for grinding mills. 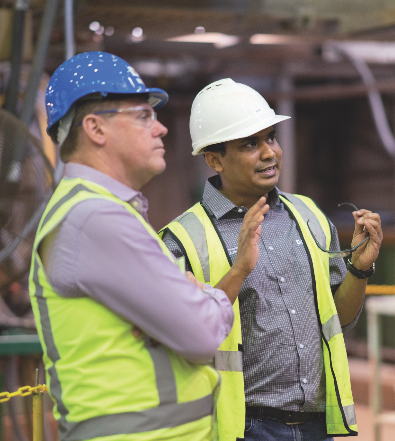 METS Ignited general manager Peter Clarke says the funding allows METS companies with specialist knowledge and skills to collaborate with other METS and mining companies to deliver a larger and better-commercialised product with a fully formed feature set. “Mining companies are looking for bigger, more complete solutions to their problems,” he tells Australian Mining. “Single METS companies are not going to be able to deliver that larger solution and so we see collaboration as a very important process in enabling the METS sector in Australia to grow, develop and produce a globally competitive and globally attractive product. The project funding is structured in a way that stipulates applicants list at least one other METS company that is collaborating in developing and getting the product to market. Applicants are also required to show alternative sources of industry funding that can match METS Ignited’s award by at least a 1:1 basis. This rule is put in place to ensure that the projects have already established a degree of commercialisation potential. The recipients have to establish a strong business case and good engagement with mining customers on their projects. “We require that they are in the market to the point that they can get the interest from a mining company to put up the other half of the money,” Clarke explains. “That tells us that the company has a product that is of interest to the industry and also tells us that they’ve got the capacity to actually sell it to industry as well. While the funding recipients came from a diverse set of backgrounds, one key trend carried through to the third round that was previously demonstrated in the second round in 2017 was the prevalence of data analytics and automation technologies on display, reflecting a move towards these technologies across the wider mining sector. Clarke predicts that as the integration of these technologies continues to evolve in mining, they will be incorporated into existing systems rather than being sold as a separate component. Data analytics, Clarke predicts, will be incorporated into virtually every product that is developed and goes out into the market. “We really see this collaboration as being critical in terms of being able to develop products that will be attractive in the global marketplace. Mining is no different,” Clarke concludes. This article also appears in the April 2019 edition of Australian Mining.